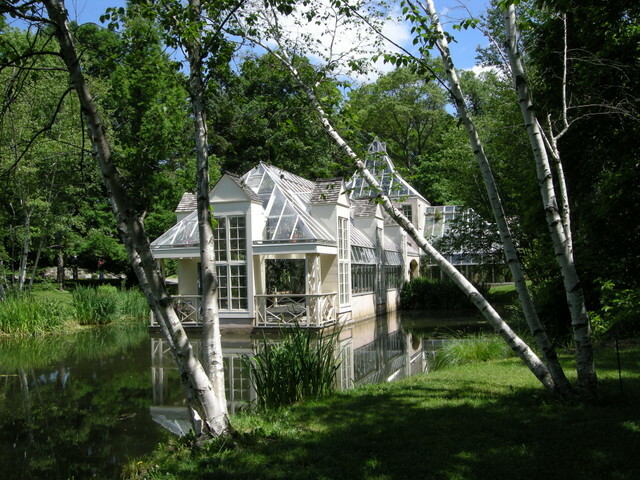 The conservatory at Stonecrop Gardens in Cold Spring, New York—a stop on the way home to Pennsylvania. 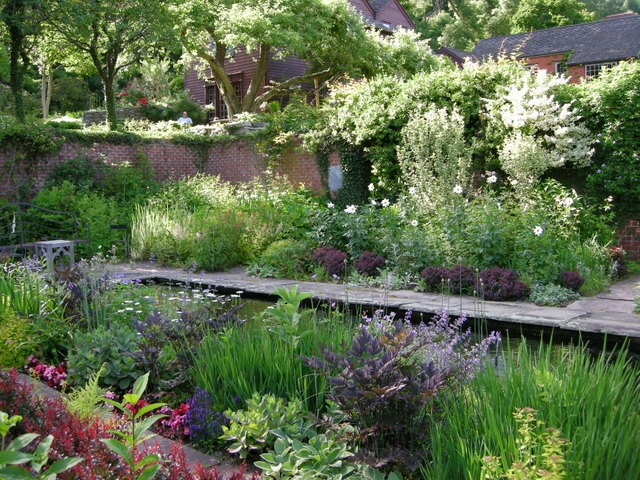 My readers were inspired by my last post on the beautiful, flower-filled garden of Charles Cresson, which I visited in May of 2014. To see the lovely photos, click here. It was fun to revisit a sunny garden during what seems like a winter that will never end. We have now had three warm days so spring is on its way. But snow still covers the ground, and I thought everyone could use another dose of sun and flowers. 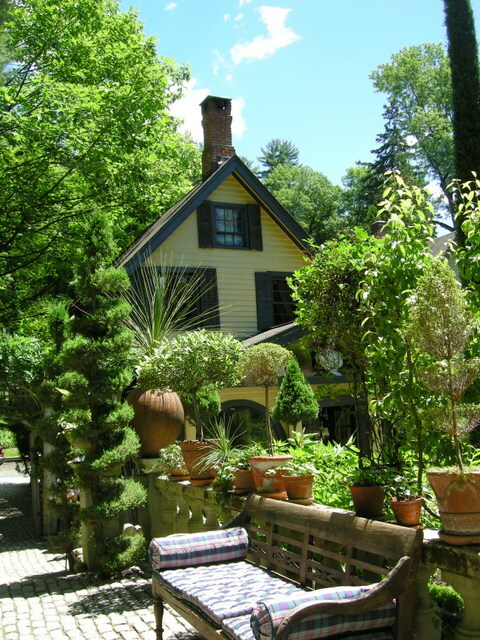 Our headquarters for our Connecticut trip was the beautiful Hidden Valley Bed and Breakfast in Washington Depot, CT. 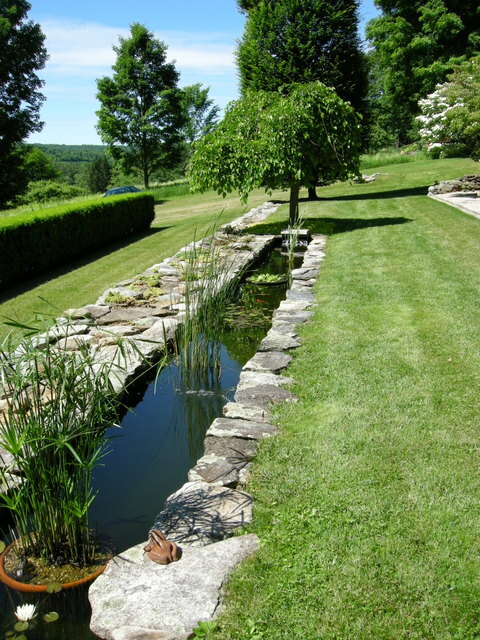 In the third week of June, a friend and I traveled to the northwestern corner of Connecticut to attend The Garden Conservancy’s Litchfield County Open Day. The Litchfield area is a gorgeous part of the U.S. with historic New England towns, classic farms surrounded by stone walls, and wooded hills and valleys running through sparsely populated countryside. Just driving around the area is a pleasure. 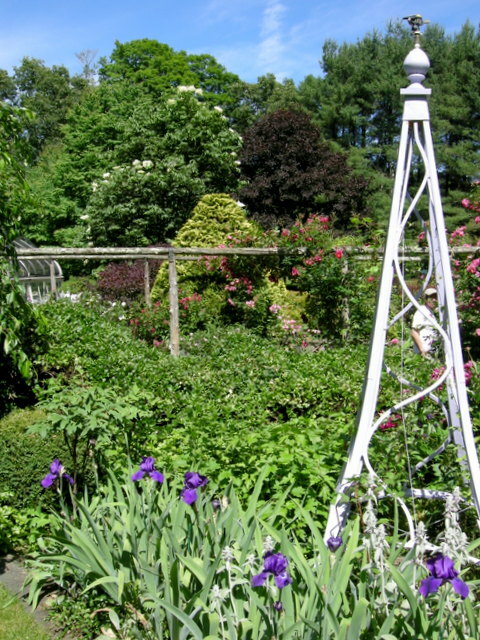 The Garden Conservancy sponsored a tour to seven area gardens to finance their “mission to save and share outstanding American gardens for the education and inspiration of the public.” Here are a few of the hundreds of photos I took during the tour. Enjoy! 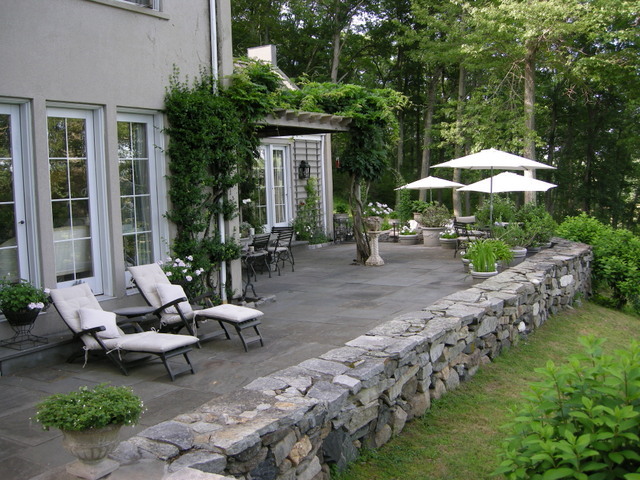 Link Garden: A pool with a sophisticated, screened pool house perches on the side of the Connecticut hills. 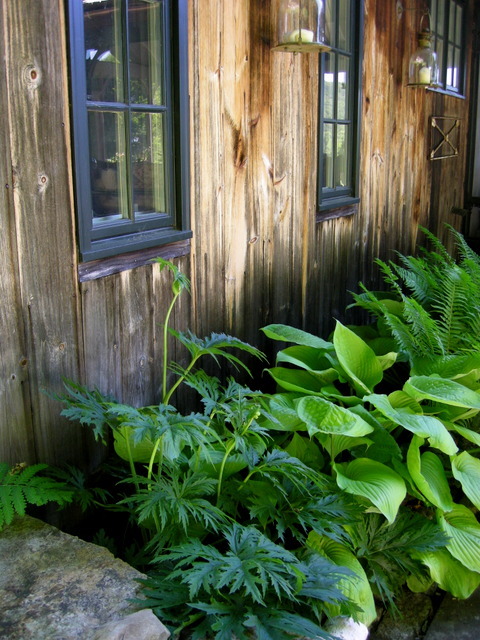 Link Garden: ligularia, hosta, and ferns in a shady corner. 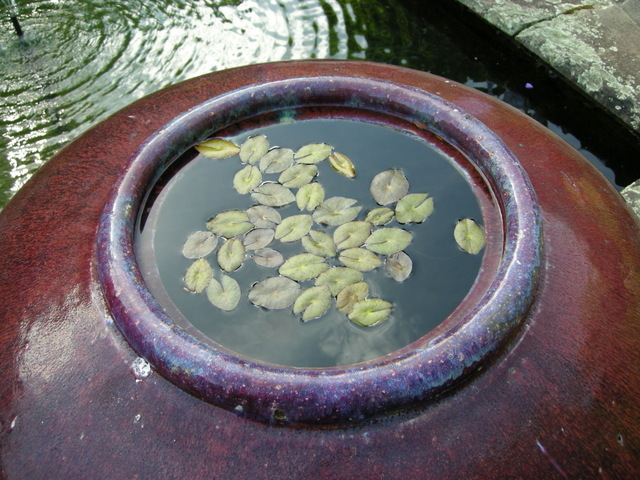 Link Garden: Aiming for ease of maintenance as the owners age, the perennial garden was replaced by this stylized rill. 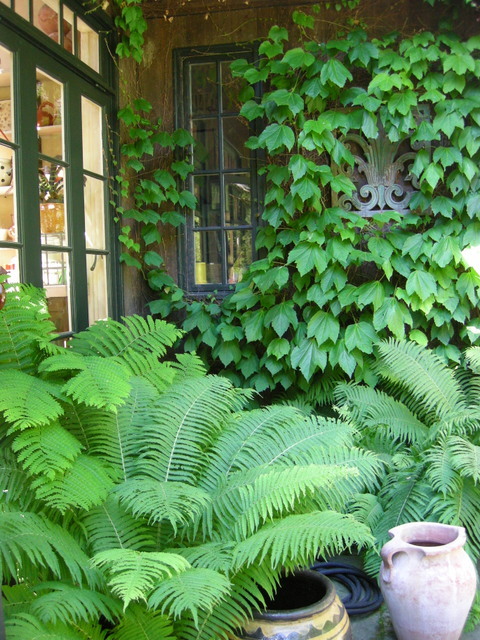 Link Garden: another shady nook behind the house. 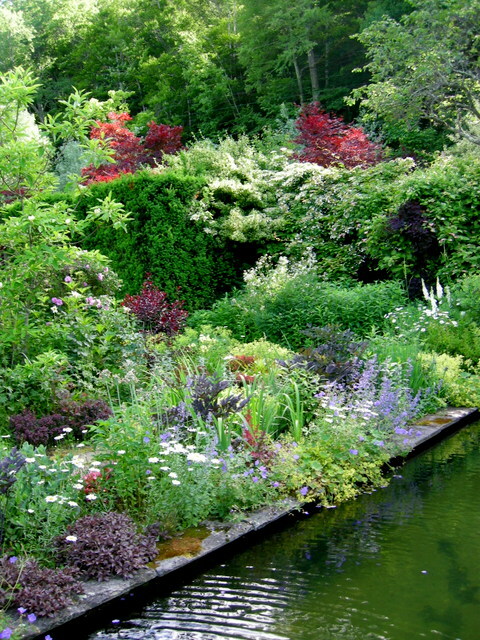 Brush Hill Gardens: In addition to this large and beautiful English cottage garden, there was an extensively planted woodland with several ponds, but the lighting wasn’t good for photos. 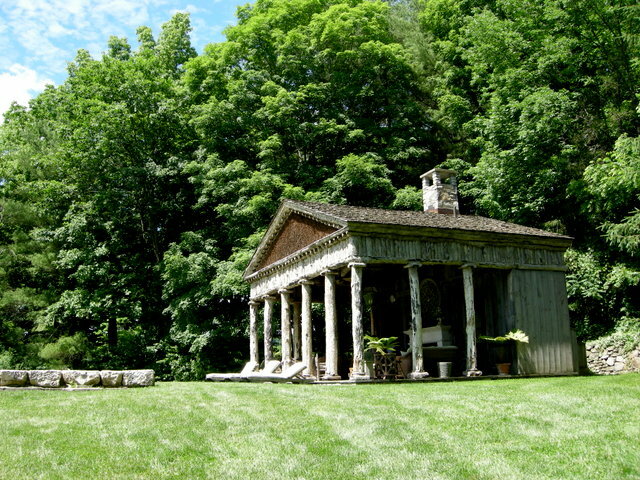 Williams Garden: A Greek Revival pool house is not for everyone, but it was interesting to see it. 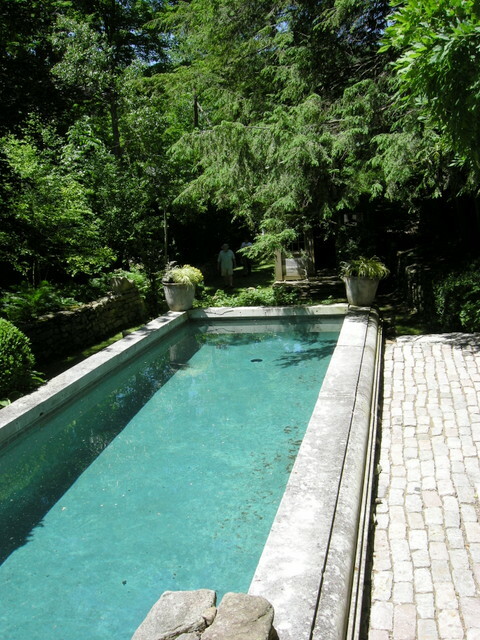 Williams Garden: The pool edged with 18th century French coping was quite elegant. 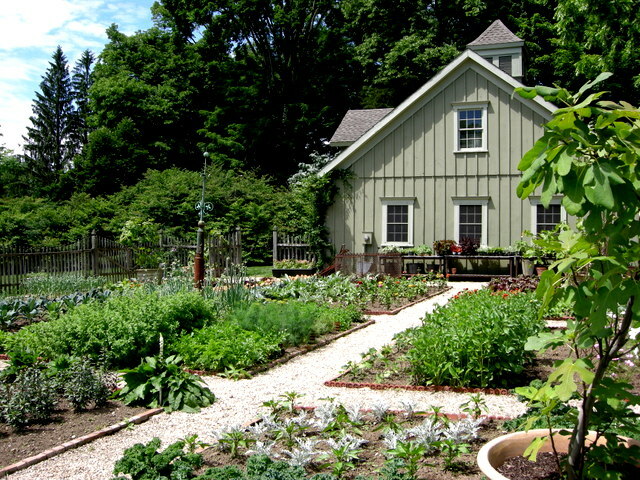 Williams Garden: an extensive kitchen garden and elaborate “garden shed”. 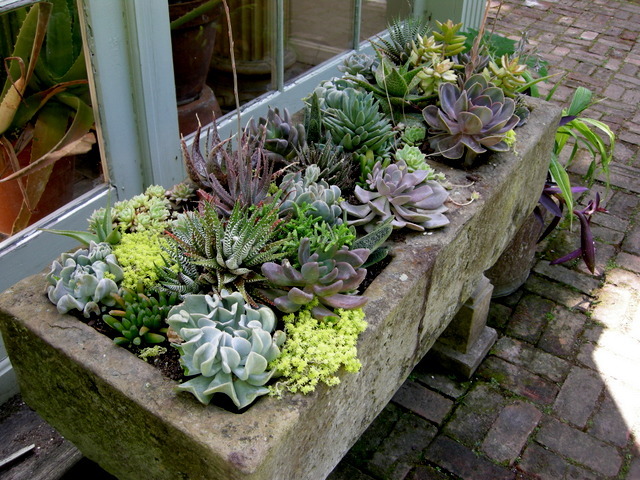 Williams Garden: stone trough filled to overflowing with succulents. 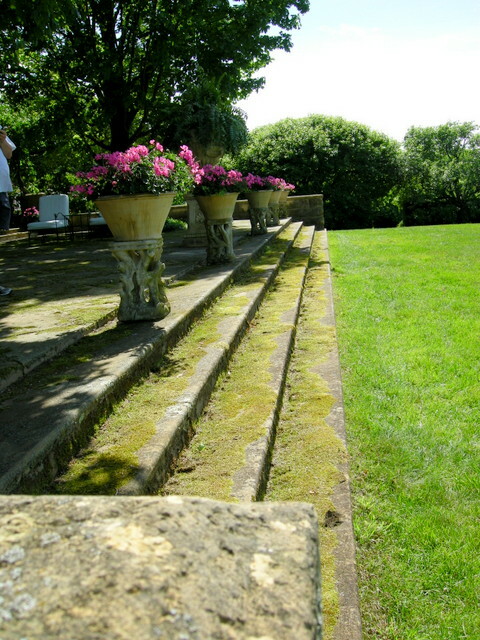 Trapp Garden: a little bit of Italy in West Cornwall, Connecticut. 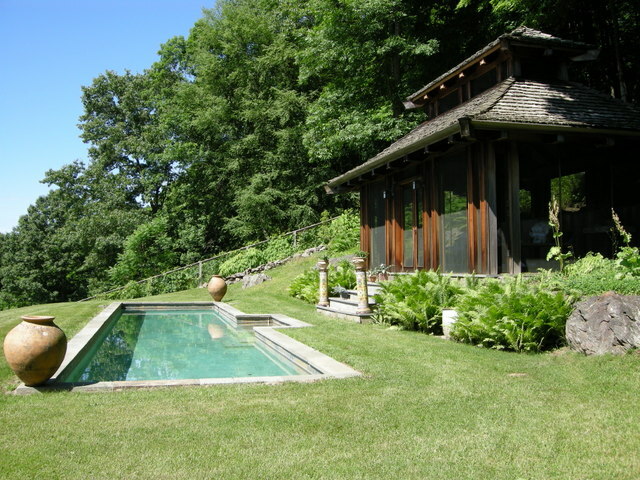 Trapp Garden: A very secluded pool on the side of a terrace with a grotto-like pool house sunk in the side of a hill. 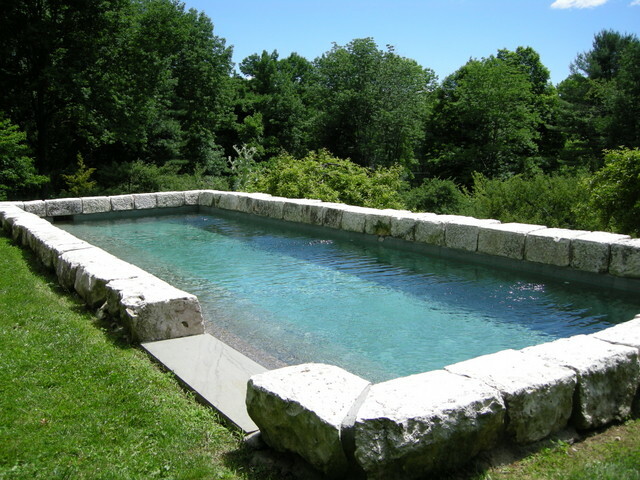 I usually think pools detract from the landscape but changed my mind on this tour. 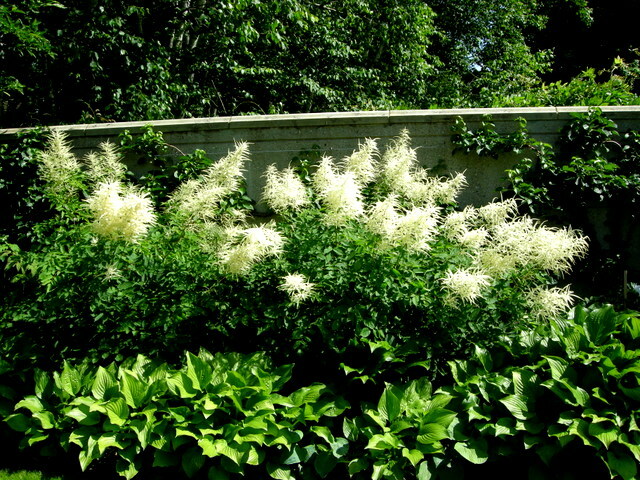 Highmeadows: Beautiful use of our native goatsbeard, I am not sure why more gardeners don’t grow this. 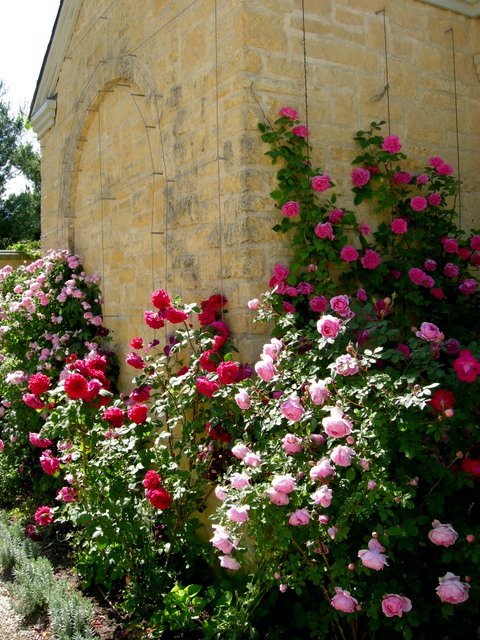 Highmeadows: The roses growing on the soft-colored walls were breath-taking. 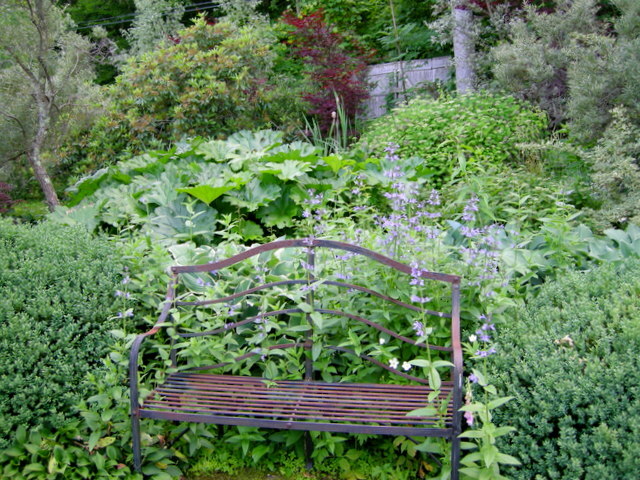 Hollister House Garden: This was my favorite. 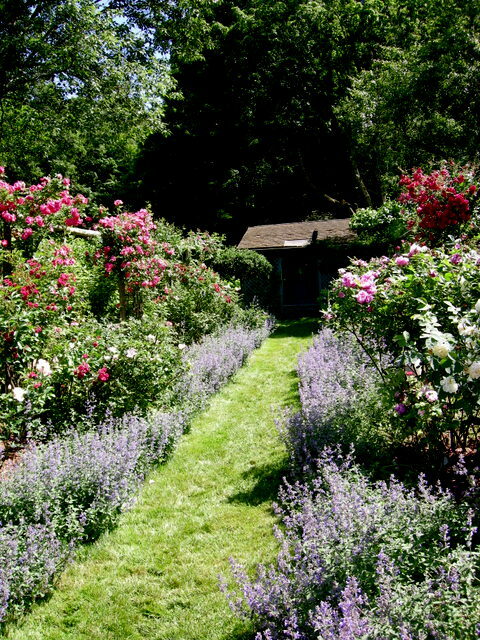 The garden is a Garden Conservancy preservation project and surrounds an historic Connecticut farmhouse. 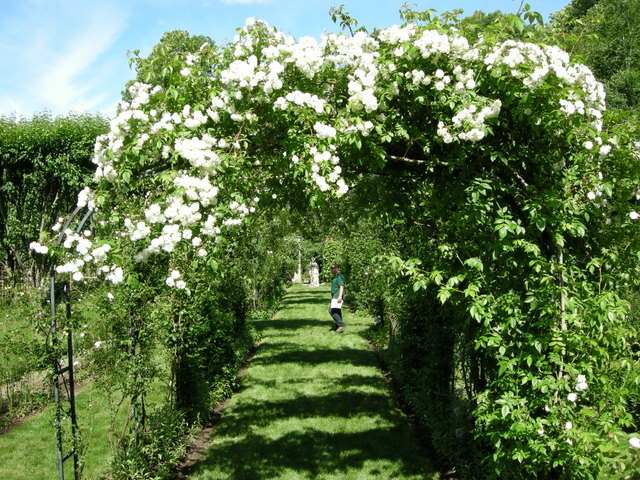 It is divided into a series of rooms and vistas by tall hedges and walls. 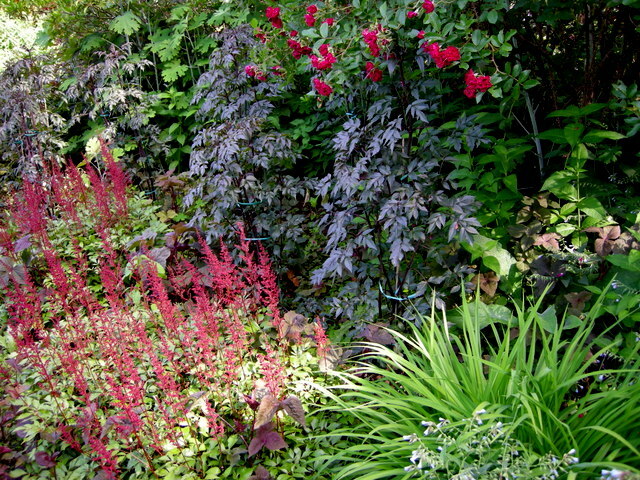 The plant choices are enchanting, and the color combinations are gorgeous. 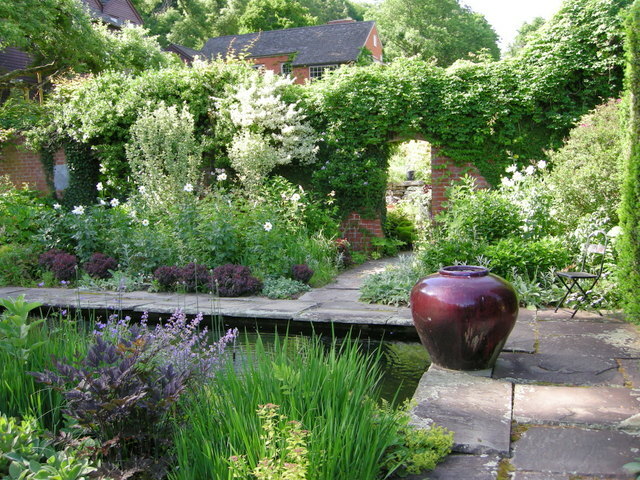 The garden is open to the public every Saturday from June through September. For more information, click here. The sun is shining and it’s going to be 60 degrees F today so all the snow and ice is bound to melt shortly. 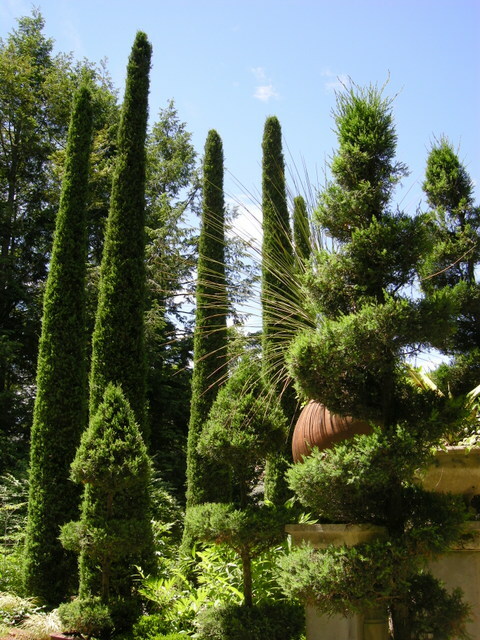 Nursery Happenings: Due to rescheduling, spaces have opened up in Charles Cresson’s seminar The Winter Garden in Bloom. For details, click here. Our first event is the Hellebore Extravaganza on Saturday, April 11, from 10 am to 3 pm. However, you can stop by anytime by appointment to purchase hellebores. To access the 2015 Snowdrop Catalogue, please click here.